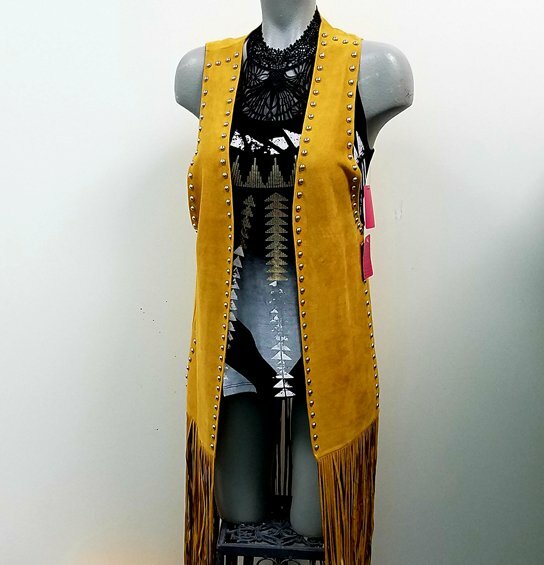 Gold Crazy Train Fringe Vest, shown w/Aztec tank, black bralette, both sold separately. O/S fits most. Sueded polyester, hand wash, hang dry.